Irish Whiskey vs the Rest: What's the Difference? That’s what many people say when they survey the bar or liquor selection at a store, but not you. You know there are some differences, and you want to find out: do you prefer Irish whiskey, Scotch, or Canadian whisky? Before we discover the unique qualities of each type, let’s address one common question. 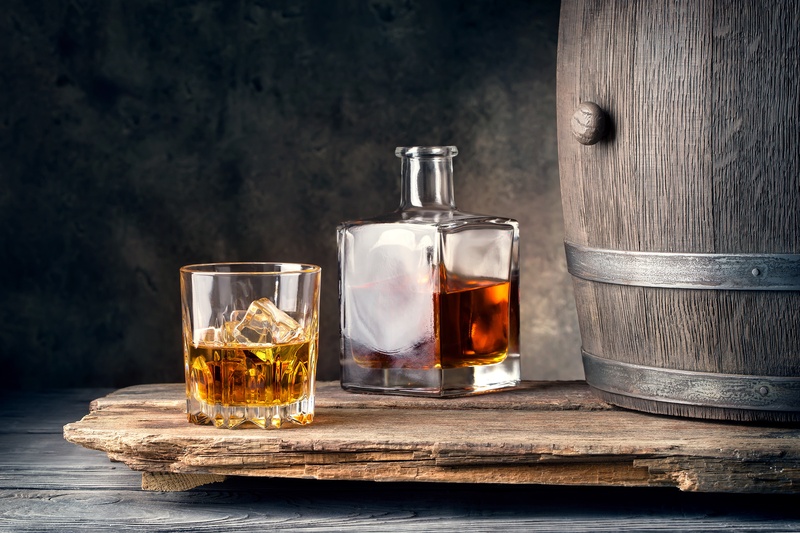 Why are Whiskey and Whisky Spelled Differently? Is it just a matter of location? Some say Irish distillers added the ‘e’ to make their whiskey stand out from Scotch whisky. Others believe it’s just a translation issue between the Scottish and Irish Gaelic. But why are we wasting time over spellings when we could be drinking whisk(e)y? When it comes to whiskey, the Irish are recognized for being long-time players. Early records point to its origins around 1405, almost a century before it caught on in Scotland. Irish whiskeys are known for their smooth (but not quite sweet) flavor profiles, which come from the distilling process. Single malt whiskey comes from malted barley in a pot still, usually distilled two or three times to hone in on its distinct, pure flavors. Single pot whiskey comes from only one distillery, must be in Ireland, and uses both malted and unmalted barley. Blended whiskey is made by combining single malts with corn and/or wheat whiskeys. If unmalted barley is used, it may produce a creamy mouthfeel and interesting spice notes. A mixed mash bill (both malted and unmalted barley) offers what’s called “pot still character,” spiciness like cinnamon delicately colliding with tropical fruit notes. Try for yourself, starting with some common examples of Irish Whiskey: Jameson, Old Bushmills, Midleton, Tullamore Dew, or Redbreast. When you think Scotch, think smoky. You can thank peat for that. While American and Irish distillers use other substances to dry the malted barley, Scottish producers stoke the kiln with peat (dried plant matter), which in turn adds robust smokiness to the Scotch. True Scotch must be made from 100% malted barley. Single malt Scotch is best enjoyed on its own, while blended Scotch tastes great in cocktail recipes. In addition to smokiness, expect earthy and leathery notes. Between Irish whiskey, Scotch, and Canadian whisky, Scotch is typically the more acquired taste. Canadian Whisky has a reputation for being lighter and smoother than most other whiskies. That’s because many producers triple-distill and then blend their whiskies with rye, corn, or other grains to cultivate flavor. You’ll taste notes of vanilla, brown sugar, and caramel, and rye or corn qualities showcased. Is older always better? Not necessarily, but aging longer gives the spirit more time to absorb and cultivate its flavor profile from the wooden barrels that hold it. Take note: the number of years on a bottle of blended whiskey is the age of the youngest whiskey in the blend. For example, even if 90% of a blend were aged for 30 years and 10% were 5 years, the bottle would still be labeled as a 5-year whiskey. The Scotch Whisky Act of 1988 requires all Scotch whisky be aged in oak barrels for a minimum of three years. Because Scotch ages in a cool, wet environment, more moisture makes it less alcoholic. In contrast, American Bourbon is more alcoholic because it ages in a warm, dry environment. American whiskey is aged in unused, charred oak barrels.